2500 LT, top trim. Sunroof, power seats, four bucket seats & third-row rear bench (not pictured, included), DVD player, rear climate control. Tow package, new tires. Good condition, minor rust, scraped front skirt. Interior leather in good condition.30,000 miles on a new transmission, new drivetrain components, new tires, perfect scheduled maintenance. Payment by cash or check. Local transactions only. 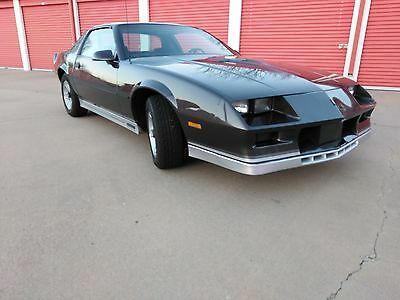 1984 Chevrolet Camaro Z/28 1984 Chevrolet Camaro Z/28 H.O. Up for your consideration is a nice solid example of a 1984 Z/28 Camaro with the L69 High Output engine option. This has been my dads' cruising car on days where it's nice enough to take the T tops off. We are losing our storage space and we had a tough choice to make. We ended up deciding that it's better to let the car go to someone that has a place to store it because leaving it out in the weather just isn't right. Clean and clear KS title in hand. The Z car has been a car that was taken care of, but didn't go without being driven somewhat regularly. It is a very original example of a 1984 Camaro Z/28. From the double snorkel air intake to the High Output 5.0 badging this car is an 80's icon through and through and still has the styling to keep up with modern sports car looks. All of the option features work as they should except for the cruise control,windshield washer sprayer,and the passenger safety belt won't reel back in. 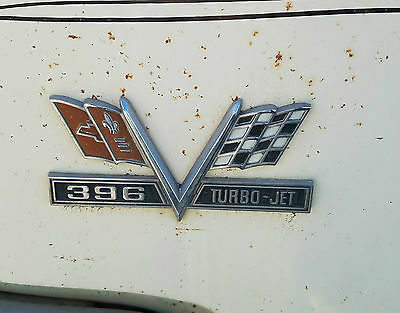 It has some rust on the rear quarters and it does have exhaust smoke. The floor pans are original and solid, no leaks out of the T tops. It starts easy and goes up the highway nice and smooth. I have to say that it's a great feeling having the tops off and cruising up the highway, it's where the car is happy at. The tires are new within the last year and it stops with a nice firm brake pedal. Power hatch option works as it should and the hatch struts pick up the hatch with no problem. The hood struts are also fully functional and work as they should. A/C blows cold air , but in all honesty I would recommend having it serviced to get the maximum cooling capability. The gauge cluster was upgraded to a Dakota Digital unit at 94,000 miles. I still have the original dash cluster that will go with the car at time of ownership transfer. I could go on and bore you with all of the option codes this car has, but I know that stuff is fun for a new owner to look up. One of the cool things I have learned is that this car was crowned "The Best Handling American Car" by Car and Driver magazine in 1984. It is one of the more loaded up models and is only short a couple of options from being a full order sheet car. Some of the options include all of the windows being factory tinted, 4 wheel disc brakes, tilt wheel, dual power mirrors, power locks, and power windows. All in all this 84 Z/28 H.O. 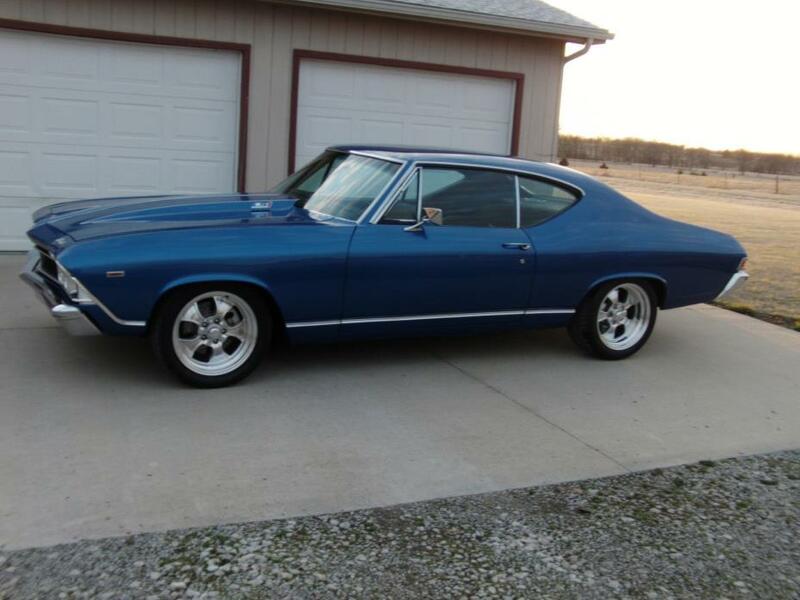 is a very solid example of one of the last factory muscle cars with a carburetor . If the new owner is needing delivery I am available to do that. I have a dove tail car trailer that can move the car to anywhere in the lower 48 states. If you are within 200 miles of zip code 67211 I will deliver it for the Buy It Now price. If you are past 200 miles it will be $1.00/mile after 200 miles. I am available to call or text at (316) 573-1147. Thank you for your time. Jon Koehn (620) 951-0310 Kansas ? ? ? ? 2012 Chevrolet Colorado 1LT Vehicle Information VIN: 1GCHTCFE2C8102954 Stock: 7G106A Mileage: 66,100 Color: Sheer Silver Metallic Trans: Automatic 4-Speed Engine: 3.7L 5 cyls MPG: 16 City / 21 Highway Drivetrain: 4WD AutoCheck History Report Vehicle History Reports ? Click here to see theVehicle History Report ? ? Description Recent Arrival! 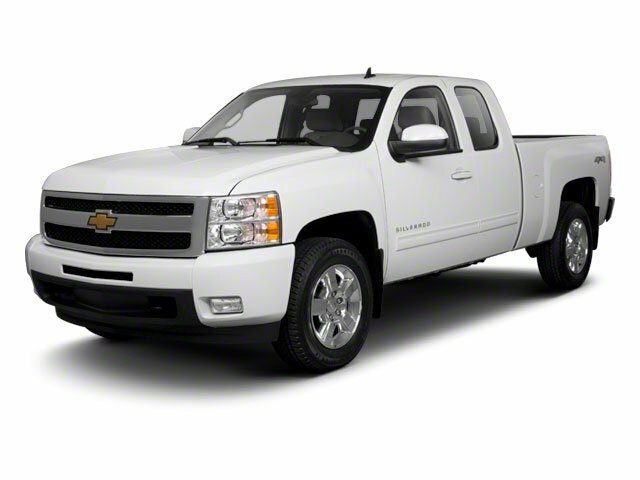 Colorado 1LT, 4D Crew Cab, 3.7L 5-Cylinder SFI DOHC, 4-Speed Automatic with Overdrive, 4WD, Silver, Ebony w/Deluxe Cloth Seat Trim, Automatic Locking Rear Differential, Heavy-Duty Suspension Package, Remote Keyless Entry. 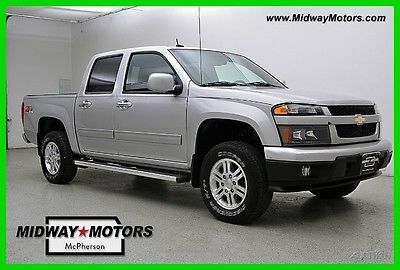 Silver 2012 Chevrolet 4D Crew Cab Colorado 1LT 4WD 4-Speed Automatic with Overdrive 3.7L 5-Cylinder SFI DOHC Odometer is 16920 miles below market average! Midway Certified Vehicles come with a 2 year / 125,000 mile Powertrain Warranty, a 6 month / 6k mile comprehensive warranty, and can be serviced at any ASE certified shop in the nation. Roadside Assistance, and the Peace of Mind of a 125 point inspection and reconditioning process. We are committed to our Customers. To get more information about our Certified Vehicles call today! $199.00 Document Fee. Overseas transactions may be subject to higher fee. Buyer is responsible for tax, tag, and title fees. All items are subject to prior sale off ebay. Removal of sold items can take up to 24-48 business hours to cancel. In the event a sold item is purchased on ebay your paypal deposit will be promptly refunded or may be used to hold another vehicle. All sales are final, there are no refunds. Do not assume anything, if you have a question feel free to ask. By bidding/making an offer/using buy-it-now on the auction you agree to any and all terms expressed and/or implied. These are pre-owned vehicles and they are sold in 'AS IS' condition. However, many vehicles are still under factory warranty. Odometer mileage is posted at the time of listing, but do to local test driving, demos, or in-transit repairs this may vary. Thank you for your business, we very much appreciate it. Options and Standard Features Options ? 4 Doors ? 4Wd Type - Part-Time ? 4-Wheel Abs Brakes ? Air Conditioning ? Automatic Transmission ? Bed Length - 61.1 ? Compass ? Cruise Control ? Daytime Running Lights ? Dusk Sensing Headlights ? External Temperature Display ? Four-Wheel Drive ? Front Fog/Driving Lights ? Fuel Economy Epa Highway (Mpg): 21 And Epa City (Mpg): 16 ? Head Airbags - Curtain 1St And 2Nd Row ? Limited Slip Differential - Mechanical ? Passenger Airbag ? Power Mirrors ? Power Windows With 1 One-Touch ? Remote Power Door Locks ? Tachometer ? Tilt Steering Wheel Basic Information Stock Number: 7G106A VIN Number: 1GCHTCFE2C8102954 Style Name: 4X4 Crew Cab 5 Ft. Box 126 In. WB 1LT Make: Chevrolet Model: Colorado Model Year: 2012 Vehicle Type: Pickup Vehicle Trim: 1LT Exterior Color: Silver Body Type: Crew Cab Interior Color: Ebony/Light Cashmere w/Deluxe Cloth Seat Trim Engine MPG Automatic City: 16 MPG Automatic Highway: 21 Engine Description: 3.7L 5 Cyls Fuel Type: Gasoline Fuel Induction: Sequential MPI Valves Per Cylinder: 4 Aspiration: Normal DriveTrain 4WD Type : Part-Time Differential Limited Slip: Mechanical Driven Wheels: Four-Wheel Locking Hubs: Auto Transfer Case: Electronic Transmission: Automatic 4-Speed Wheels Rims: Silver Aluminum Wheels Spare Rim Type: Steel Drive Train Type: 4WD Suspension Independent Suspension: Front Stabilizer Bar: Front Instrumentation Clock Compass External Temp Low Fuel Level Tachometer Roof and Glass Front Wipers: Variable Intermittent Privacy Glass: Deep In Car Entertainment Antenna Type: Fixed Audio System: AM/FM/Satellite Speakers: 6 Seats Drivers Lumbar: Manual Seating Capacity: 6 Front Seat Type: Split-Bench Upholstery: Premium Cloth Folding: Fold Forward Seatback Convenience Cruise Control Cupholders: Front And Rear Door Pockets: Driver And Passenger Power Outlets: 2 Seatback Storage Steering Adjustment: Tilt-Adjustable Steering Power: Power Steering Power Mirrors: Power Remote Power Door Locks Windows: Power Windows Satellite Communication: Onstar Directions & Connections Comfort Air Conditioning: Manual Dash Trim: Metal-Look Mats: Rubber Front And Rear Reading Lights: Front Shift Knob: Plastic/Rubber Steering Wheel Trim: Leather Vanity Mirrors: Passenger Vanity Mirrors Features Bumpers: Gray Door Reinforcement: Side-Impact Door Beam Safety Turning Circle: 44.2 ABS: 4-Wheel Head Airbags: Curtain 1St And 2Nd Row Anti Theft System Safety Locks Daytime Running Light Engine Immobilizer Headlights Dusksensor: Dusk Sensing Front Headrests: Fixed Rear Headrests: 2 Rear Center Seatbelt: 3-Point Belt Safety Stability Control Driver and Passenger Airbag Stability Control Door Reinforcement: Side-Impact Door Beam Towing and Hauling Trailer Hitch Doors Rear Door Type: Tailgate Side Door Type: Conventional Dimensions Front Head Room: 39.3 Inches Front Hip Room: 53.3 Inches Front Shoulder Room: 57.1 Inches Front Leg Room: 42.2 Inches Rear Head Room: 38.3 Inches Rear Hip Room: 52.9 Inches Rear Leg Room: 34.8 Inches Rear Shoulder Room: 57.1 Inches Length: 207.1 Inches Width: 68.6 Inches Height: 67.9 Inches Wheelbase: 126.0 Inches Max Gross Vehicle Weight: 5,300 Lbs. Curb Weight: 4,070 Lbs. ? Apply Now Secure Credit Application Applying for a vehicle loan online is one of the quickest and easiest application methods. Our secure application is easy to complete, all you need are a few personal and employment details. 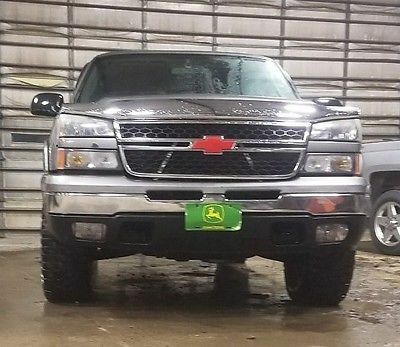 Contact Jon Koehn Kansas View Map Ask for:Jon Koehn Contact: ?Contact Us Main:(620) 951-0310 ?Credit Application ?Directions to Dealer ?Contact Us Terms Placing a Bid: Your bid constitutes a legally binding contract to purchase this vehicle. Please do not bid if you're not seriously interested or financially able to purchase this vehicle. Please read eBay's User AgreementJon Koehn reserves the right to, Obtain and verify the registered information of all users who bid on this auction. Cancel any and all bids at our discretion, or end the auction early if necessary.Bidders Age: You must be 18 years of age or older to Bid. Special eBay Bid Retraction Rules: Please read eBay's "Retracting a Bid" If you place a bid before the last 12-hour period of the auction: You may retract that bid before that last 12-hour period but only for exceptional circumstances. You will not be allowed to retract that bid during the last 12-hour period of the auction. If you place a bid during the last 12-hour period of the auction: You will be allowed to retract the bid for exceptional circumstances but only if you do so within one hour after placing the bid.Funds & Financing: For help in arranging for a Pre-Approved loan or for any questions please e-mail or phone Jon at(620) 951-0310 prior to bidding. Buyers Inspection: Jon Koehn has done our best to disclose all information known about this vehicle for auction. Jon Koehn welcomes a buyers inspection. If you plan to have a buyers inspection, please make sure you inspect the vehicle prior to the auction ending. Inspection fees if any are Buyers responsibility. Representations and Warranties made by seller: This vehicle is being sold "as is". Manufacturer's warranties may still apply. Extended warranty may be available, e-mail or phone Jon at (620) 951-0310 for details. No representations or warranties are made by seller, nor are any representations or warranties relied upon by bidders in making bids. Taxes and Registration fees: Out of state buyers are responsible for all state, county, city taxes and fees, as well as title service fees in the state that the vehicle will be registered. All taxes and fees must be paid in full in order for vehicle to be titled and registered. Title Information: Vehicles titles may be held by banks or lenders as collateral for loans. In many cases there is a delay in receiving the original instruments up to 21 days from the time we pay a vehicle off. While we usually have all titles in our possession at closing, there are occasions where we may be waiting for them to arrive. If payment is made by cashier's or personal checks we will hold all titles for 10 days or until funds have cleared. Shipping & Delivery: All shipping charges are buyer's responsibility. Jon Koehn will help with shipping arrangements but will not be responsible in any way for claims arising from shipping damage!Licensed Carriers are generally insured for $3,000,000.00. We assume no responsibility for damages incurred after the vehicle leaves our showroom. All shipping arrangements are provided by Jon Koehn as a courtesy. We are not affiliated with any carrier. Any claims or other communication regarding shipment of vehicles will be between you and the shipper, not with Jon Koehn. The amount of time it takes for delivery is dependent on the carrier, but is generally 7-14 days from the date the vehicle is picked up from our facility until it is delivered to your destination. Verify with the shipper for an Estimate Time of Arrival to be sure. Finalizing your Purchase: Jon Koehn will contact the successful high bidder by e-mail after the auction closes. Successful high bidder MUST communicate with Jon at Jon Koehn by e-mail or phone(620) 951-0310 within 24 hours of the auction ending to make arrangements to complete their transaction. If we cannot confirm your intention to buy or the sale is not completed within 5 days, we reserve the right to relist this vehicle or sell to any other qualified buyer. In order to secure bid on vehicle, Successful bidder (BUYER) must within 24 hours of bid closing send to Seller a Deposit in the amount of 10% by major credit card, cash in person or bank certified funds. Within 72 hours of bid closing, Buyer must send balance of funds by cash in person or bank certified funds to Seller. At time of sending initial deposit, Buyer MUST fax copy of their State issued valid Driver License. Furthermore, before said vehicle is released for shipment to Buyer, all other Sale related and title related paperwork must be signed and returned complete to Seller. Copyright © 2017 Auction123 - All rights reserved. - Disclaimer +- Auction123 (a service and listing/software company) and the Seller has done his/her best to disclose the equipment/condition of this vehicle/purchase. However, Auction123 disclaims any warranty as to the accuracy or to the working condition of the vehicle/equipment listed. The purchaser or prospective purchaser should verify with the Seller the accuracy of all the information listed within this ad. Selling a Vehicle? Create Professional Listings Fast and Easy. Click Here! Devin (620) 664-3011 ? ? ? 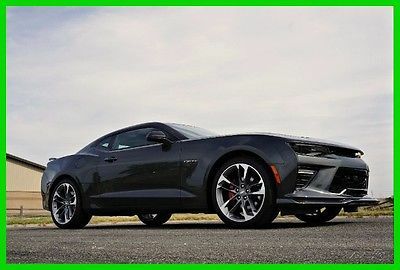 2017 Chevrolet Camaro 2SS Vehicle Information VIN: 1G1FH1R74H0154823 Stock: 7N058 Mileage: 5 Color: Nightfall Gray Metallic Trans: Automatic Engine: 6.2L V8 MPG: 16 City / 25 Highway Drivetrain: RWD ? ? ? ? 1 of 18 ? View Large Images ? ? Description Take a look at this beautiful 50th Anniversary 2017 Chevrolet Camaro 2SS Coupe!! That aggressive body style will definitely turn heads as you cruise through town. And with that powerful 6.2L V8, you won't have to worry about having enough horses under the hood. These 50th Anniversary edition Camaro's do not lack in style. There are many custom touches to this Camaro that makes it a truly unique collectable. From 50th Anniversary Stripes and Badges, to 20" 50th Anniversary styled wheels, to a 50th Anniversary front grill, to special leather stitching and orange brake calipers, this Camaro is decked out for the big anniversary celebration. With other features like power sunroof, Chevy Mylink sytem with 8" touchscreen, navigation and performance dual exhaust, this is the complete package that is highly sought after! Our price on this awesome Camaro is $48,630!!! WHAT A DEAL!!! This deal will not last long, so don't wait, contact us today!!! Any questions, call or text Devin at 620-664-3011 or John at 316-249-6005 Options and Standard Features Options ? 2 Doors ? 455 Hp Horsepower ? 4-Wheel Abs Brakes ? 6.2 Liter V8 Engine ? 8-Way Power Adjustable Drivers Seat ? Air Conditioning With Dual Zone Climate Control ? Audio Controls On Steering Wheel ? Bluetooth ? Climate Controlled - Driver And Passenger Heated-Cushion ? Clock - In-Radio Display ? Compass ? Cooled - Driver And Passenger ? Cruise Control ? Driver And Passenger Heated-Seatback ? Driver Memory Seats ? External Temperature Display ? Front Fog/Driving Lights ? Front Seat Type - Sport ? Fuel Economy Epa Highway (Mpg) ? Head Airbags - Curtain 1St And 2Nd Row ? Head-Up Display ? Heated Drivers Seat ? Heated Passenger Seat ? Heated Steering Wheel ? Interior Air Filtration ? Knee Airbags - Driver And Passenger ? Memory Settings For 2 Drivers ? Multi-Function Remote - Trunk/Hatch/Door/Tailgate ? Passenger Airbag ? Power Heated Mirrors ? Power Windows With 2 One-Touch ? Rear-Wheel Drive ? Remote Power Door Locks ? Satellite Communications - Integrated ? Stability Control ? Tachometer ? Tilt And Telescopic Steering Wheel ? Traction Control - Abs And Driveline ? Transmission Hill Holder ? Trip Computer ? Universal Remote Transmitter ? Xenon Headlights Basic Information Stock Number: 7N058 VIN Number: 1G1FH1R74H0154823 Style Name: Coupe 2SS Make: Chevrolet Model: Camaro Model Year: 2017 Vehicle Type: Coupe Vehicle Trim: 2SS Interior Color: Gry/Orng Exterior Color: Nightfall Body Type: Coupe Engine MPG Automatic City: 16 MPG Automatic Highway: 25 Engine Description: 6.2L V8 Fuel Type: Gasoline Fuel Induction: Gasoline Direct Injection Valves Per Cylinder: 2 Aspiration: Normal DriveTrain Differential Limited Slip: Mechanical Driven Wheels: Rear-Wheel Transmission: Automatic Wheels Rims: Silver Aluminum Drive Train Type: RWD Suspension Independent Suspension: Four-Wheel Stabilizer Bar: Front And Rear Instrumentation Clock Compass External Temp Heads up Display Low Fuel Level Tachometer Trip Computer Roof and Glass Front Wipers: Variable Intermittent Privacy Glass: Light Rear Defogger In Car Entertainment Antenna Type: Window Grid Audio System: Siriusxm AM/FM/Satellite Premium Brand: Chevrolet Mylink Premium Speakers: Bose Speakers: 9 Seats Drivers: Multi-Level Heating Drivers Height: Power Drivers Power: 8 Drivers Ventilated: Ventilated Passenger: Multi-Level Heating Passenger Power: 6 Seating Capacity: 4 Front Seat Type: Sport Upholstery: Leather Folding: Fold Forward Seatback Convenience Center Console: Full With Covered Storage Cruise Control Cupholders: Front Door Pockets: Driver And Passenger Power Outlets Remote Trunk Release: Power Seatback Storage Steering Adjustment: Tilt And Telescopic Steering Power: Speed-Proportional Electric Power Steering Universal Remote Transmitter Auto Dimming Mirrors: Electrochromatic, Driver Only Power Mirrors: Power Remote W/Tilt Down Reverse Tilt Mirror: Dual Mirrors Power Door Locks Windows: Power Windows Satellite Communication: Integrated Memory Features Exterior Mirrors Memory Features Number of Drivers: 2 Comfort Air Conditioning: Automatic Air Filtration: Interior Air Filtration Trunk Lights: Cargo Area Light Center Console Trim: Aluminum Door Trim: Aluminum Mats: Carpet Front Reading Lights: Front Shift Knob: Leather/Aluminum Steering Wheel Trim: Leather/Metal-Look Vanity Mirrors: Dual Illuminated Vanity Mirrors Features Aux Engine Cooler: Regular Duty Aux Transmission Cooler: Regular Duty Bumpers: Body-Colored Door Reinforcement: Side-Impact Door Beam Safety ABS: 4-Wheel Head Airbags: Curtain 1St And 2Nd Row Anti Theft System Brake Assist: Braking Assist Daytime Running Light Engine Immobilizer Headlights Auto Delay: Auto Delay Off Headlights Dusksensor: Dusk Sensing Front Headrests: Manual Adjustable Safety Stability Control Driver and Passenger Airbag Side Airbag Stability Control Door Reinforcement: Side-Impact Door Beam Towing and Hauling Tie Downs: Cargo Tie Downs Doors Rear Door Type: Trunk Dimensions Front Head Room: 38.5 Inches Front Leg Room: 43.9 Inches Luggage Capacity: 9 Cu.Ft. Length: 188.3 Inches Width: 74.7 Inches Height: 53.1 Inches Wheelbase: 110.7 Inches Curb Weight: 3,685 Lbs. 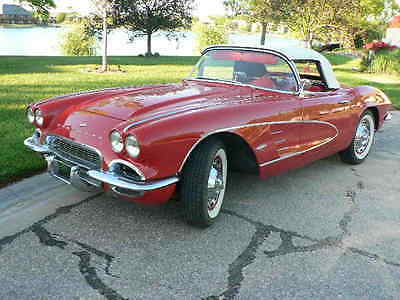 About Me Contact Ask for:Devin Contact: ?Contact Us Call or Text:(620) 664-3011 ?Contact Us Message Terms Placing a Bid: Your bid constitutes a legally binding contract to purchase this vehicle. Please do not bid if you're not seriously interested or financially able to purchase this vehicle. 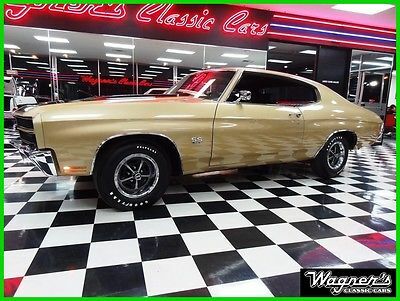 Please read eBay's User AgreementMidway Motors reserves the right to, Obtain and verify the registered information of all users who bid on this auction. Cancel any and all bids at our discretion, or end the auction early if necessary.Bidders Age: You must be 18 years of age or older to Bid. Admin Fee... Midway Motors does have a $199.00 admin fee that is on every car deal.Funds & Financing: For help in arranging for a Pre-Approved loan or for any questions please e-mail or phone Devin at (620) 664-3011 prior to bidding. Buyers Inspection: Midway Motors has done our best to disclose all information known about this vehicle for auction. Midway Motors welcomes a buyers inspection. If you plan to have a buyers inspection, please make sure you inspect the vehicle prior to the auction ending. Inspection fees if any are Buyers responsibility. Representations and Warranties made by seller: This vehicle is being sold "as is". Manufacturer's warranties may still apply. Extended warranty may be available, e-mail or phone Devin at (620) 664-3011 for details. No representations or warranties are made by seller, nor are any representations or warranties relied upon by bidders in making bids. Taxes and Registration fees: Out of state buyers are responsible for all state, county, city taxes and fees, as well as title service fees in the state that the vehicle will be registered. All taxes and fees must be paid in full in order for vehicle to be titled and registered. Title Information: Vehicles titles may be held by banks or lenders as collateral for loans. In many cases there is a delay in receiving the original instruments up to 21 days from the time we pay a vehicle off. While we usually have all titles in our possession at closing, there are occasions where we may be waiting for them to arrive. If payment is made by cashier's or personal checks we will hold all titles for 10 days or until funds have cleared. Shipping & Delivery: All shipping charges are buyer's responsibility. Midway Motors will help with shipping arrangements but will not be responsible in any way for claims arising from shipping damage!Licensed Carriers are generally insured for $3,000,000.00. We assume no responsibility for damages incurred after the vehicle leaves our showroom. All shipping arrangements are provided by Midway Motors as a courtesy. We are not affiliated with any carrier. Any claims or other communication regarding shipment of vehicles will be between you and the shipper, not with Midway Motors. The amount of time it takes for delivery is dependent on the carrier, but is generally 7-14 days from the date the vehicle is picked up from our facility until it is delivered to your destination. Verify with the shipper for an Estimate Time of Arrival to be sure. Finalizing your Purchase: Midway Motors will contact the successful high bidder by e-mail after the auction closes. Successful high bidder MUST communicate with Devin at Midway Motors by e-mail or phone (620) 664-3011 within 24 hours of the auction ending to make arrangements to complete their transaction. If we cannot confirm your intention to buy or the sale is not completed within 5 days, we reserve the right to relist this vehicle or sell to any other qualified buyer. In order to secure bid on vehicle, Successful bidder (BUYER) must within 24 hours of bid closing send to Seller a Deposit in the amount of $500 by major credit card, cash in person or bank certified funds. Within 24 hours of bid closing, Buyer must send balance of funds by cash in person or bank certified funds to Seller. At time of sending initial deposit, Buyer MUST fax copy of their State issued valid Driver License. Furthermore, before said vehicle is released for shipment to Buyer, all other Sale related and title related paperwork must be signed and returned complete to Seller. Copyright © 2017 Auction123 - All rights reserved. - Disclaimer +- Auction123 (a service and listing/software company) and the Seller has done his/her best to disclose the equipment/condition of this vehicle/purchase. However, Auction123 disclaims any warranty as to the accuracy or to the working condition of the vehicle/equipment listed. The purchaser or prospective purchaser should verify with the Seller the accuracy of all the information listed within this ad. Selling a Vehicle? Create Professional Listings Fast and Easy. Click Here! Will Osborn (877) 806-9583 4501 South 4th Trafficway Leavenworth Kansas 66048 ? ? ? 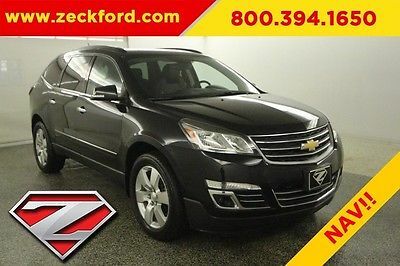 Description ***2ND ROW BUCKETS*** This 2013 Chevrolet Traverse LTZ is equipped with a 3.6L V6, heated and cooled leather seats, navigation, 2nd row bucket seats, rear view camera, power liftgate, rear parking sensors, power seats with driver's memory seat, remote start, dual zone climate control, bluetooth, satellite radio and more. Live far away? Shipping available anywhere in the U.S.!! 15 minutes from KCI airport. To see how easy it is to do business at Zeck Ford, call or text Will Osborn at 316..214..1068!!! ? ? Message Satisfaction Guaranteed ? ? No Haggle Pricing! ? ? Message Check Our Great Finance Rates! ? ? Who Is Zeck Motor Company? ? ? Message Real Market Value on your Vehicle ? ? Buy Back Guarantee Buy Back Guidelines Normal 0 false false false EN-US X-NONE X-NONE Buy Back Guidelines: We must be notified within 3 calendar days of the delivery date in writing and vehicle must be returned to Zeck Motors within 14 calendar days from date of notification.Zeck Motors will arrange for return shipping and customer will be responsible for the return shipping charges. All return shipping charges must be paid up front to Zeck Motors within 7 days of the original delivery date. Customer may opt to drive the vehicle back to Zeck Motors, but the vehicle must have no more than 300 additional miles on it upon return. The controlling mileage will be the mileage printed on the Customer’s Buyer’s Order. Must obtain a subsequent third-party, post-purchase vehicle inspection upon delivery. Inspection is limited to mechanical and structural issues only and vehicle must fail said inspection in some manner. Aesthetic issues, in general, and dings, dents, scratches or issues with tires, specifically, are excluded from any post-purchase inspection scrutiny. If customer purchases a Ford, Lincoln or Mercury product, the third-party, post-purchase inspection must be completed at a Ford or Lincoln dealership.If customer purchases a non-Ford, Lincoln or Mercury, the third-party, post-purchase inspection must be completed by an ASE Certified mechanic. Will not be available on units that are picked up by customers or their representative from Zeck Motors.Must be a retail customer. Dealer sales are not eligible. ? ? Message Find the Perfect Car! ? ? Sell Your Vehicle ? ? Message Terms - There is a $499 Administrative Fee and $5 filing fee that will be added to the price of the vehicle. If you are titling in Kansas you are required to pay taxes at time of purchase. - We provide a 60 day tag, but please keep in mind, if your State requires you to register sooner, you will be responsible for doing so. - A $500 NON-REFUNDABLE deposit will hold a vehicle for up to 7 days. Deposits are NON-REFUNDABLE unless the vehicle has been misrepresented, fails a third party inspection or we are unable to obtain financing for you. - Deposits are transferable to any other vehicle in our inventory or to locate a vehicle and in all cases the deposit IS APPLIED to the purchase price of the vehicle. 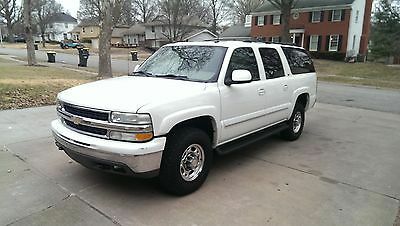 - All parties agree in relation to any transaction involving this vehicle that proper venue for any legal proceedings shall be in Leavenworth County, Kansas.- Buyer receives copies of all paperwork pertaining to transaction, any work after sale must be in writing and signed by an employee of Zeck Motors, no verbal promises or guarantees. - Not all vehicles were acquired with a second set of keys or owner’s manual, we DO NOT provide them if they did not come with the vehicle upon delivery to us. - Miles posted in listing may vary slightly due to test-driving, road testing, or in-transit shipping. - All shipping charges are buyer’s responsibility. Zeck Motors will help with arrangements but will not be responsible in any way for claims arising from shipping damage. Copyright © 2017 Auction123 - All rights reserved. - Disclaimer +- Auction123 (a service and listing/software company) and the Seller has done his/her best to disclose the equipment/condition of this vehicle/purchase. However, Auction123 disclaims any warranty as to the accuracy or to the working condition of the vehicle/equipment listed. The purchaser or prospective purchaser should verify with the Seller the accuracy of all the information listed within this ad. Selling a Vehicle? Create Professional Listings Fast and Easy. Click Here! 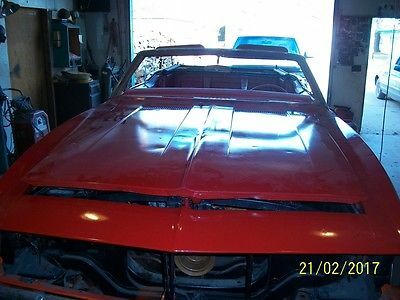 1967 Convertible Camaro RS. Automatic transmission, all new brakes. 1985 305 Camaro motor with headers. No windshield, no radiator. Hot rod red and orange body paint. Needs all new upholstery on top and seats. Extra parts included hide away headlights. Motor runs and sounds good. Would make a great hot rod with some time and money. Asking $25,000. FOR ADDITIONAL QUESTIONS/QUERIES PLEASE CONTACT JOSH REED: 316-719-8413 Highlighted Features Electronic stability Leather upholstery Automatic temperature control Emergency communication system Front dual zone A/C Heads up display Auto-dimming rearview mirror High intensity discharge headlights * While every reasonable effort is made to ensure the accuracy of this information, we are not responsible for any errors or omissions contained on these pages. Please verify any information in question with Walser Automotive Group. Selling my 06 Vortec Max, this truck runs very good and am only selling because i need a 2500 for pulling heaver trailers. This truck has a few scratches and dings but nothing bad for its age. This truck has a good trailer package that includes a brake controller and rear shocks that the orphus can change allowing your suspension to get hard or when pushed again it goes to smooth ride. I can not guarantee this truck but i feel like it is very solid i really wish i didn't have to sell it, i love it. Alisha,Malory,Shelby (785) 823-2237 3450 S 9th St Salina Kansas 67401 ? ? ? ? 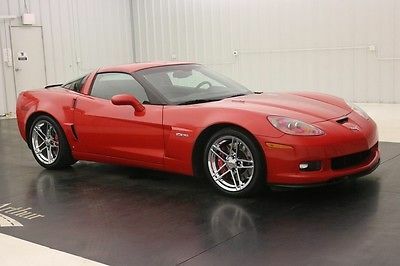 2008 Chevrolet Corvette ? ? ? ? 1 of 42 ? View Large Images ? ? 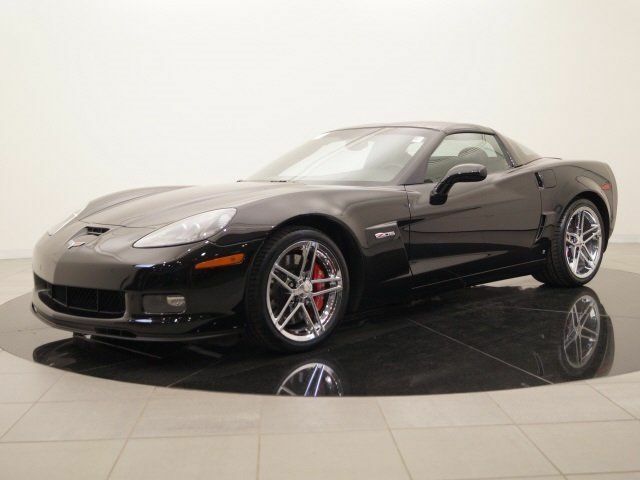 Description NEW AT LONG MCARTHUR, A 2008 CHEVROLET CORVETTE COUPE Z06 RWD, 7L V8 6-SPEED MANUAL, POWER DOOR LOCKS AND WINDOWS, CRUISE CONTROL, 4-WHEEL ABS BRAKES, , FRONT VENTILATED DISC BRAKES, REAR LIP SPOILER, AUDIO SYSTEM SECURITY, DIGITAL AUDIO INPUT, IN-DASH SINGLE CD/MP3 PLAYER, AM/FM SATELLITE XM RADIO DATA SYSTEM, SPEED SENSITIVE AUDIO VOLUME CONTROL WITH 7 SPEAKERS, ABS AND DRIVELINE TRACTION CONTROL, STABILITY CONTROL, LIGHT PRIVACY GLASS, SILVER ALUMINUM RIMS, 19" WHEELS, FRONT FOG/DRIVING LIGHTS, LEATHER STEERING WHEEL TRIM, LEATHER/METAL-LOOK SHIFT KNOB TRIM, METAL-LOOK DASH/CENTER CONSOLE TRIM, TRIP COMPUTER, EXTERNAL TEMPERATURE DISPLAY, AUXILLIARY ENGINE COOLER, TACHOMETER, MANUFACTURER'S 0-60MPH ACCELERATION TIME (SECONDS):3.6 S, AUXILLIARY TRANSMISSION COOLER, DRIVER'S SIDE ELECTROCHROMATIC AUTO-DIMMING MIRRORS, POWER REMOTE DRIVER MIRROR ADJUSTMENT, DUAL ILLUMINATED VANITY MIRRORS, COMPASS ONSTAR SAFE & SOUND, POWER REMOTE TRUNK RELEASE, FRONT READING LIGHTS, ANTI-THEFT ALARM SYSTEM, LEATHER SEAT UPHOLSTERY, FRONT SPORT SEAT, TILT-ADJUSTABLE STEERING WHEEL, SPEE-PROPORTIONAL POWER STEERING, DUAL AUTOMATIC FRONT AIR CONDITIONING ZONES, TIRE PRESSURE MONITORING SYSTEM, CARGO AREA LIGHT, MAX CARGO CAPACITY: 22 CUBIC FEET, VEHICLE EMISSIONS: LEV II, PREMIUM UNLEADED, 18 GALLON TANK, HEADLIGHTS OFF AUTO DELAY, DUSK SENSING HEADLIGHTS, TRANSVERSE LEAF FRONT SPRING, HD FRONT STABILIZER BAR, REAR STABILIZER BAR: HD AND MANY MORE FEATURES! VIN: 1G1YY26E385113622 Stock #: 17156A AutoCheck History Report Vehicle History Reports ? Click here to see theVehicle History Report Video About Us About Us Long McArthur has been in business since 1942 and is family owned. North McArthur, President and West McArthur, Vice President are the 4th generation and current owners. The employees at Long McArthur are treated like family and we appreciate our customers for choosing us for the vehicle needs whether purchasing a vehicle or servicing a vehicle. Our primary goal is to satisfy our customers. Our online dealership was created to enhance the buying experience for each and every one of our internet customers. If you have any questions, please feel free to contact us. Get to know us better check out our about page! Click Here to Visit our store for more inventory! Video Testimonials Price includes all public retail rebates and may require you to finance through Ford Credit. Rebates are based on Salina, Kansas zipcode, call to verify your zip code's rebates and any other rebates that you may be eligible to claim. Shipping In the past years, Long McArthur has shipped over 400 vehicles to customers all over the United States! Call today for a shipping quote (785) 823-2238! We understand this can be a stressful time for the customer and that why we are here! If you feel more comfortable flying in we will pick you up at the airport! Come see the Midwest and see why so many people have bought from us! ? Apply Now Secure Credit Application Applying for a vehicle loan online is one of the quickest and easiest application methods. Our secure application is easy to complete, all you need are a few personal and employment details. Contact Long McArthur Ford 3450 S 9th St Salina Kansas 67401 View Map Ask for:Alisha,Malory,Shelby Contact: ?Contact Us BDC Team :(785) 823-2237 Hours Mon-Fri:08:00 AM-08:00 PM CST Saturday:08:00 AM-08:00 PM CST Sunday:Closed Options and Standard Features Options ? 7 Speakers ? Am/Fm Radio: Xm ? Cd Player ? Mp3 Decoder ? Radio Data System ? Xm Satellite Radio ? Air Conditioning ? Automatic Temperature Control ? Front Dual Zone A/C ? Rear Window Defroster ? Heads-Up Display ? Power Driver Seat ? Power Steering ? Power Windows ? Remote Keyless Entry ? Four Wheel Independent Suspension ? Speed-Sensing Steering ? Traction Control ? 4-Wheel Disc Brakes ? Abs Brakes ? Dual Front Impact Airbags ? Emergency Communication System ? Front Anti-Roll Bar ? Low Tire Pressure Warning ? Occupant Sensing Airbag ? Rear Anti-Roll Bar ? Electronic Stability Control ? Delay-Off Headlights ? Front Fog Lights ? Fully Automatic Headlights ? High-Intensity Discharge Headlights ? Panic Alarm ? Security System ? Speed Control ? Auto-Dimming Door Mirrors ? Bumpers: Body-Color ? Heated Door Mirrors ? Power Door Mirrors ? Spoiler ? Auto-Dimming Rear-View Mirror ? Compass ? Driver Door Bin ? Driver Vanity Mirror ? Front Reading Lights ? Illuminated Entry ? Leather Shift Knob ? Leather Steering Wheel ? Outside Temperature Display ? Passenger Vanity Mirror ? Sport Steering Wheel ? Tachometer ? Tilt Steering Wheel ? Trip Computer ? Voltmeter ? Front Bucket Seats ? Front Center Armrest ? Passenger Door Bin ? Alloy Wheels ? Variably Intermittent Wipers ? 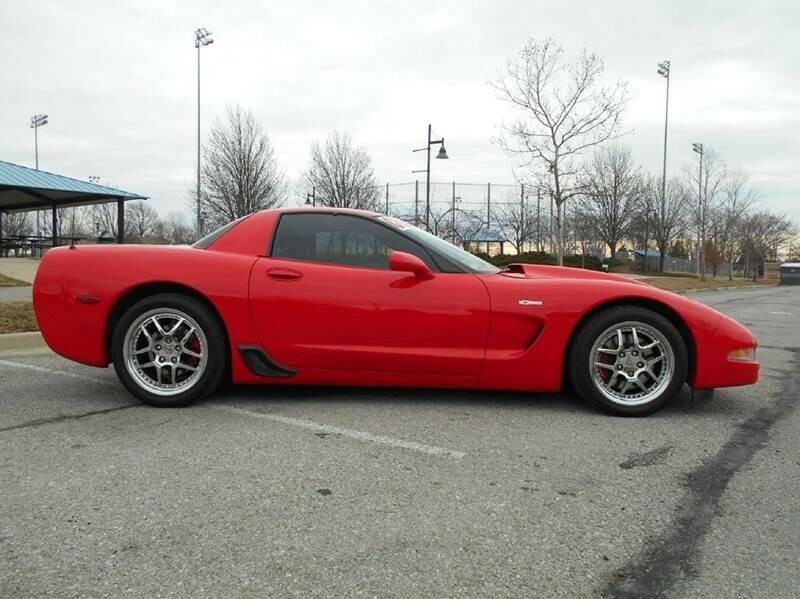 3.42 Limited Slip Rear Axle Ratio Basic Information Stock Number: 17156A VIN Number: 1G1YY26E385113622 Make: Chevrolet Model: Corvette Model Year: 2008 Vehicle Type: Coupe Vehicle Trim: Z06 Exterior Color: Red Body Type: Coupe Engine MPG Manual City: 15 MPG Manual Highway: 24 Engine Description: 7.0L V8 SFI Fuel Type: Gas Fuel Induction: Sequential MPI Valves Per Cylinder: 2 Aspiration: Normal DriveTrain Differential Limited Slip: Mechanical Driven Wheels: Rear-Wheel Transmission: 6-Speed Manual Drive Train Type: RWD Suspension Independent Suspension: Four-Wheel Stabilizer Bar: Front And Rear Instrumentation Clock Compass External Temp Heads up Display Low Fuel Level Tachometer Trip Computer Roof and Glass Front Wipers: Variable Intermittent Privacy Glass: Light Rear Defogger In Car Entertainment Antenna Type: Window Grid Audio System: AM/FM/Satellite Speakers: 7 Seats Drivers Height: Power Drivers Power: 6 Seating Capacity: 2 Front Seat Type: Sport Upholstery: Leather Convenience Center Console: Full With Covered Storage Cruise Control Cupholders: Front Door Pockets: Driver And Passenger Power Outlets: 2 Remote Trunk Release: Power Steering Adjustment: Tilt-Adjustable Steering Power: Speed-Proportional Power Steering Auto Dimming Mirrors: Electrochromatic, Driver Only Power Mirrors: Power Remote Power Door Locks Windows: Power Windows Satellite Communication: Onstar Safe & Sound Comfort Air Conditioning: Automatic Air Filtration: Interior Air Filtration Trunk Lights: Cargo Area Light Center Console Trim: Metal-Look Dash Trim: Metal-Look Mats: Carpet Front Reading Lights: Front Shift Knob: Leather/Metal-Look Steering Wheel Trim: Leather Vanity Mirrors: Dual Illuminated Vanity Mirrors Features Aux Engine Cooler: Regular Aux Transmission Cooler: Regular Bumpers: Body-Colored Door Reinforcement: Side-Impact Door Beam Safety Turning Circle: 39 ABS: 4-Wheel Anti Theft System Daytime Running Light Engine Immobilizer Headlights Auto Delay: Auto Delay Off Headlights Dusksensor: Dusk Sensing Front Headrests: Fixed Safety Stability Control Driver and Passenger Airbag Stability Control Door Reinforcement: Side-Impact Door Beam Doors Rear Door Type: Liftgate Dimensions Front Head Room: 37.9 Front Hip Room: 53.6 Front Shoulder Room: 55.2 Front Leg Room: 43.1 Luggage Capacity: 22 Maximum Seating: 2 Length: 175.6 Width: 75.9 Height: 49.0 Wheelbase: 105.7 Curb Weight: 3,132 eBay Terms Placing a Bid: Your bid constitutes a legally binding contract to purchase this vehicle. Please do not bid if you're not seriously interested or financially able to purchase this vehicle. Please read eBay's User AgreementLong McArthur Ford reserves the right to, Obtain and verify the registered information of all users who bid on this auction. Cancel any and all bids at our discretion, or end the auction early if necessary.Bidders Age: You must be 18 years of age or older to Bid. Special eBay Bid Retraction Rules: Please read eBay's "Retracting a Bid" If you place a bid before the last 12-hour period of the auction: You may retract that bid before that last 12-hour period but only for exceptional circumstances. You will not be allowed to retract that bid during the last 12-hour period of the auction.If you place a bid during the last 12-hour period of the auction: You will be allowed to retract the bid for exceptional circumstances but only if you do so within one hour after placing the bid.Funds & Financing: For help in arranging for a Pre-Approved loan or for any questions please e-mail or phone at (785) 823-2237 prior to bidding.Buyers Inspection: Long McArthur Ford has done our best to disclose all information known about this vehicle for auction. Long McArthur Ford welcomes a buyers inspection. If you plan to have a buyers inspection, please make sure you inspect the vehicle prior to the auction ending. Inspection fees if any are Buyers responsibility.Representations and Warranties made by seller: Manufacturer's warranties may still apply. Extended warranty may be available, e-mail or phone at (785) 823-2237 for details. Taxes and Registration fees: Out of state buyers are responsible for all state, county, city taxes and fees, as well as title service fees in the state that the vehicle will be registered. All taxes and fees must be paid in full in order for vehicle to be titled and registered.Please note a $299.95 administrative fee will be added to all vehicle purchases.Title Information: Vehicles titles may be held by banks or lenders as collateral for loans. In many cases there is a delay in receiving the original instruments up to 21 days from the time we pay a vehicle off. While we usually have all titles in our possession at closing, there are occasions where we may be waiting for them to arrive. If payment is made by cashier's or personal checks we will hold all titles for 10 days or until funds have cleared.Shipping & Delivery: All shipping charges are buyer's responsibility. Long McArthur Ford will help with shipping arrangements but will not be responsible in any way for claims arising from shipping damage!Licensed Carriers are generally insured for $3,000,000.00. We assume no responsibility for damages incurred after the vehicle leaves our showroom. All shipping arrangements are provided by Long McArthur Ford as a courtesy. We are not affiliated with any carrier. Any claims or other communication regarding shipment of vehicles will be between you and the shipper, not with Long McArthur Ford.The amount of time it takes for delivery is dependent on the carrier, but is generally 7-14 days from the date the vehicle is picked up from our facility until it is delivered to your destination. Verify with the shipper for an Estimate Time of Arrival to be sure.Finalizing your Purchase: Long McArthur Ford will contact the successful high bidder by e-mail after the auction closes.Successful high bidder MUST communicate with at Long McArthur Ford by e-mail or phone (785) 823-2237 within 24 hours of the auction ending to make arrangements to complete their transaction. If we cannot confirm your intention to buy or the sale is not completed within 5 days, we reserve the right to relist this vehicle or sell to any other qualified buyer.In order to secure bid on vehicle, Successful bidder (BUYER) must within 24 hours of bid closing send to Seller a Deposit in the amount of 10% by major credit card, cash in person or bank certified funds. Within 72 hours of bid closing, Buyer must send balance of funds by cash in person or bank certified funds to Seller.At time of sending initial deposit, Buyer MUST fax copy of their State issued valid Driver License. Furthermore, before said vehicle is released for shipment to Buyer, all other Sale related and title related paperwork must be signed and returned complete to Seller. Copyright © 2017 Auction123 - All rights reserved. - Disclaimer +- Auction123 (a service and listing/software company) and the Seller has done his/her best to disclose the equipment/condition of this vehicle/purchase. However, Auction123 disclaims any warranty as to the accuracy or to the working condition of the vehicle/equipment listed. The purchaser or prospective purchaser should verify with the Seller the accuracy of all the information listed within this ad. Selling a Vehicle? Create Professional Listings Fast and Easy. Click Here!